Slotszone Casino will then reward you with a bonus (Welcome Bonus is for new players only). The terms and conditions of the bonuses vary between different casinos and might also change over time and between different countries, so it is important to compare the different offers and read the T&C for Slotszone Casino before signing up. Make way for the star! Slotszone Casino is a well equipped online gambling venue that shows off with a solid reason. Although new to the market, it has managed to tick all of the vital boxes on our check list. Importantly, Slotszone Casino has been granted licenses by two reputable regulatory bodies – the UK Gambling Commission and Gibraltar Gaming Authority, which allows the casino’s clients to gamble without a worry, knowing that they and their personal information is as safe as can be. Moreover, Slotszone Casino has selected the latest SSL encryption to protect all data roaming on the site; therefore, there is no way that a cyber thief or a third party of any kind could ever gain access to your sensitive data. This instant play casino is available on all platforms and is fully compatible with all operating systems. Slotszone Casino certainly boasts a chunky repertoire of hundreds of diverse games that include live games, classic slots, video slots, table games, and casual games. We love what the casino has done with the wide choice of games that suit all profiles of players, but some players might get confused with the navigation. Namely, all of the games are placed in one single category with absolutely no other divisions or subcategories provided by the casino. On the other hand, there is a handy manual search engine, but some might mind the absence of subdivisions. For maximum convenience, we would strongly recommend accessing the website via Google Chrome, as the built-in search engine tends to get fidgety when used on any other browser. 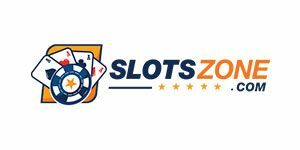 Slotszone prides a long list of suppliers that include NetEnt, IGT, Microgaming, Red Tiger, Blueprint, and many others. Slots naturally dominate the stage at Slotszone Casino. The hundreds of titles vary in styles, themes and rules, so you had better start spinning today! Current favorites include Gonzo’s Quest, Slots O’ Gold, Wicky Races and Elephant King. Baccarat, Blackjack, Poker and Roulette are all featured at Slotszone, as well as about a dozen their variants. If you are in the mood for trying out something new and different, Slotszone Casino also offers a lucky number 7 of scratch card games that include Oil Mania Scratch, The Snake Charmer, Big Foot Scratch and Merlin’s Millions Scratch. Video poker lovers have quite a treat to chew in the form of Jacks or Better. What’s more, Bingo and Lotto variations are also featured; at Slotszone Casino you can play on Mega Ball Action, Bingo Billions, Boss the Lotto and Spin Lotto. Even though slots are the absolute leaders among games found at Slotszone Casino, there is a special spot for live dealer games as well. This online casino hosts an assemblage of live games that include Live Blackjack, Live Roulette, Live Baccarat and Live Dream Catcher, as well as a line-up of their modernized variants. Broadcast live from a professional casino studio, and dealt by a real well-trained croupier, all games are legit and proven genuine, and are continually monitored for fairness. Safety comes first at Slotszone Casino, so rest assured. Furthermore, the familiar rules that apply in traditional brick and mortar casinos apply at Slotszone Live Casino as well. Both wagering and withdrawing are smooth and effortless at Slotszone Casino. The refreshingly efficient online gambling destination allows for a wide range of banking methods, as well as a big number of various international currencies. When it comes to ewallets, you can use PayPal, Neteller, Zimpler, Paysafe Card, and Trustly. Credit and debit cards-wise, opt for MasterCard, Maestro, Visa or Visa Electron. Bank wire transfers, fast bank transfers and Boku Pay by phone service are also options. When opting for the currency, your selection is as follows: British pounds sterling, Euros, Swedish kronor, American dollars, Australian dollars and Canadian dollars. The least you can withdraw is £20, and the upper limit for withdrawals has not been set. Please bear in mind that if you go for Boku, an additional 15% fee will be charged per transaction. Easily reachable and around the clock is Slotszone Casino’s customer service team! You can find them on social media – Facebook, Twitter and Google+ that is. You can also get in touch utilizing the nifty Live Chat facility that is also available 24/7, or you can give the representatives a ring. Both of these options cater for immediate assistance. If the matter at hand is not urgent, you can opt for sending the team an email; in this case, you may expect a reply within 24 hours after you have sent your initial email. The address for all your enquiries is [email protected], and the phone number you ought to ring in times of need is +44207 154 2076. On top of it all, there is a comprehensive FAQ list found on the bottom of each page.